These are some of the statements I hear from my patients all the time, and my answer usually is, “It’s not you. It’s your hormones.” In my experience, although hormones are complex, there are four that, if out of balance, make losing weight virtually impossible. In this blog, I’m going to talk about them, how they affect your weight, and how you can bring them back into balance. Fat Burning Barrier #1: Not Enough Adiponectin Adiponectin is literally the hormone that tells your body to burn fat for fuel. It’s like your body’s “fat burning torch.” Multiple studies have shown that the more of this super hormone you have circulating in your bloodstream, the more fat you burn. Research shows that low levels of adiponectin are associated with a higher incidence of obesity. In fact, according to Dr. Leo Galland, Director of The Foundation for Integrated Medicine, “A lack of adequate adiponectin is emerging as a significant factor in people’s inability to melt flab and stay slim.” (1) The frustrating thing about adiponectin is that the more fat you have, the lower your levels—which is why losing fat is so darn difficult at the beginning. You need a kick start, so here are two “at home” methods for naturally boosting your adiponectin levels and stoking your fat burning fire: First, increase your magnesium intake, either by taking a high quality supplement (which is quite inexpensive), or by consuming seeds (pumpkin seeds are great) and green, leafy vegetables like spinach and kale. A much more aggressive approach is to do something called “intermittent fasting,” which has been shown to significantly increase adiponectin levels. This works by fasting one day, and then eating big the next. While it can work for weight loss, the jury is still out as to whether or not this is healthy. Plus, who wants to live this way? Fat Burning Barrier Number 2: Too Much Ghrelin. Ghrelin is called the “Hunger Hormone.” The more ghrelin you have in your system, the hungrier you are. If you find yourself fighting cravings and can’t seem to stay away from the fridge after dinner, it’s probably due to elevated ghrelin levels. (2) (3) The hard fact is that ghrelin works directly on the hunger center of your brain by activating the brain’s reward response to highly addictive sweet, fatty foods. This increases your food intake at the worst possible time—at night—and ultimately makes you gain more weight. There is something you can start doing tonight that can lower your ghrelin levels and help you feel more satisfied: Get some sleep. New research has shown that even low levels of sleep deprivation increase your ghrelin levels and lead to more body fat storage. (4) Most adults need between six to eight hours of sleep. And NO…jacking yourself up in the morning with caffeine or energy drinks is the wrong thing to do if you want to lose weight. Give yourself the gift of restful, uninterrupted sleep is a great way to lower your ghrelin levels and bolster your weight loss regimen. Fat Burning Barrier Number 3: Insulin Imbalance If you’re overweight, there’s a good chance that you’re experiencing some level of insulin imbalance, resulting in excess glucose, or sugar, in your system. While this doesn’t necessarily mean that you’re diabetic, it does mean that your body’s insulin, or glucose regulator, becomes less effective at lowering your blood sugars. The end result is that instead of using the excess sugar to feed your muscles or burning it for energy, most of the carbohydrates you consume get stored as fat. If you have insulin resistance, it is virtually impossible to lose fat. That said, there’s a surprisingly simple trick to addressing the excess glucose problem—and it just might be in your kitchen cupboard. A recent study found that consuming two tablespoons of apple cider vinegar before a high carb meal significantly reduces blood glucose levels for those people with insulin resistance (5), which is that imbalance I spoke about. While this might not be appetizing for everyone, the study did say that apple cider vinegar might work as well as prescription drugs at regulating blood sugar. Fat Burning Barrier Number 4: A Cortisol Overload Your body produces cortisol in response to stress and ramps you up so you can be ready to fight or flee. This can be a good thing in dangerous situations, like if you were to run across a bear while hiking. However, with the constant stress we’re all under in today’s hectic, 24/7, crisis-driven world, our cortisol levels are elevated far beyond what we were originally designed to handle. The result is a quadruple whammy on your waistline. Excess cortisol increases your cravings for sweets and carbs, which can lead to overeating and constant hunger. Result? You get fat. (6) Plus, cortisol causes your body to actually break down your muscle tissue for energy, which is absolutely the worst thing for weight loss. The less muscle you have, the lower your metabolism will be and the more fat you’ll gain. Also, elevated cortisol levels cause a larger percentage of fat to be stored in the abdominal area. What’s worse, that the more abdominal fat you have, the more cortisol you produce in response to stress, which then causes more abdominal fat to be stored. Finally, recent studies link high cortisol levels to depression in adults and children. And we all know that when you’re depressed, you eat more. Here’s how to break this vicious cortisol cycle. First, reduce or eliminate your caffeine intake. Caffeine increases cortisol secretion in people undergoing mental stress. (For many of us, that’s just about all the time). Next (and don’t roll your eyes at this one! ), layer in some exercise into your routine. Even walking for just 30 minutes each day will work wonders. Finally, try this stress reduction exercise that I use with my patients and my family. As you’re sitting there, simply breathe in through your nose, hold, and count to four. (Make sure to breathe into your belly- it should expand). Then let the air out through your mouth until it’s all gone. Pause for one second and breath in again. Repeat this simple exercise eight times and you’ll reset your stress response. It’s that easy. Bonus Fat Burning Barrier: Unscrupulous Supplement Manufacturers As I promised earlier, I’m going to tell you why all the diet supplements you’ve tried have failed to work. And it’s disturbing. As a doctor who also happens to have a degree in manufacturing engineering, I’ve learned to ask the right questions when people ask me about supplements. First, I look for double blind, placebo controlled clinical studies on human subjects. You’d be surprised how many supplement companies base their claims on animal studies. What works on mice rarely works on humans. Second, even if there are double blind human studies on an ingredient, almost every company I’ve come across neglects to put the same exact ingredient used in the research into the product they sell you. Finally, even if they do happen to include the right ingredient, they rarely, if ever, include the same amount that they used in the study. They usually hide this fact by saying that you’re buying a “proprietary” formula or they assume that you won’t read the research and uncover the difference between the study and what you’re purchasing. This study versus-sales discrepancy exists because ingredients that work well in studies aren’t cheap when delivered at the right dose. Some supplement companies are focused on marketing and sales and have no problem burying study versus-sales discrepancies in the tiny fine print. Supplements can be extremely valuable in helping you overcome your weight loss struggles, especially when they help you balance these hormones. However, you have to do the legwork to make sure the supplements you buy don’t suffer from trickery and shady studies. My lifelong passion has been to help people struggling with weight issues. The realization that weight loss has an undeniable link to hormone balance has helped so many of my patients finally get their weight under control and get off the endless diet treadmill. With the right program, trusted supplements, and knowledge, it’s possible to lose the weight that’s burdened you for so long—and keep it off permanently. Dr. Steven Sisskind is the founder of RealDose Nutrition. As a practicing physician, Dr. Sisskind has cared for general surgery and general medicine patients. He has also worked for the U.S. Congress’ Office of Technology Assessment and at the U.S. Congress, performing research on health care, medical technology and drug-related issues. 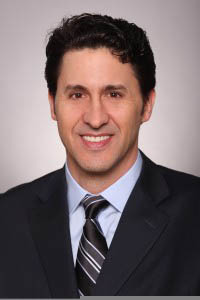 Dr. Sisskind holds a Bachelor’s degree in Economics from Stanford University, M.D. degree from Baylor College of Medicine, and a Master’s degree in Manufacturing Engineering from UCLA. Dr. Steve created a video showing you proven ingredients that also help you overcome these four barriers to fat loss. Watch it here to learn more. Resources 1. Lim S, Quon MJ, and Koh KK, “Modulation of Adiponectin as a Potential Therapeutic Strategy,” Atherosclerosis (2014 Apr): 233(2):721-8, doi: 10.1016/j.atherosclerosis.2014.01.051. 2. Murray S, Tulloch A, Gold MS, and Avena NM, “Hormonal and Neural Mechanisms of Food Reward, Eating Behaviour and Obesity,” Nat Rev Endocrinol (2014 Sep), 10(9):540-52, doi: 10.1038/nrendo.2014.91. 3. Folgueira C, Seoane LM, and Casanueva FF, “The Brain-Stomach Connection,” Front Horm Res., (2014): 42:83-92. doi: 10.1159/000358316. 4. Copinschi G, Leproult R, Spiegel K, “The Important Role of Sleep in Metabolism,” Front Horm Res., (2014): 42:59- 72. doi: 10.1159/000358858. 5. Johnston C, Kim C, Buller A, “Vinegar Improves Insulin Sensitivity to a High-Carbohydrate Meal in Subjects With Insulin Resistance or Type 2 Diabetes” Diabetes Care (2004 Jan): vol. 27 no. 1 281-282. 6. Hewagalamulage SD, Clarke IJ, Young IR, Rao A, Henry BA, “High Cortisol Response to Adrenocorticotrophic Hormone Identifies Ewes with Reduced Melanocortin Signalling and Increased Propensity to Obesity,” J Neuroendocrinol, (2015 Jan): 27(1):44-56. doi: 10.1111/jne.12233.